For some, success comes in the form of championships. For Hamilton High School and men’s varsity baseball coach Mike Woods, success resides in continuing to build a lasting legacy as the team enters its 21st season. “Our players today realize what these Hamilton teams have done in the past,” Woods said. “They know they’re a part of something bigger than themselves. What exactly is Hamilton’s baseball legacy? Woods, who has been with the team since the school’s baseball program began in 1999, has compiled a career record of 470-190. Those 470 wins are backed by six state championships (2003, '04, '08, '14, '16-'17), most in the modern era of high school baseball in Arizona and eighth all-time in Arizona. In the last 10 years, Hamilton has started the season with seven wins on opening day. Woods attributes the team’s opening day success to preparation and knowledge as the team enters each season. Woods elects to use the unconventional method of practicing baseball year-round. This often includes playing games in the offseason against Hamilton’s counterpart in the season opener, Mesquite High School. Hamilton will open their season at home against Mesquite on Feb. 20 at 3:45 p.m.
Like Woods, Mesquite head coach Jeff Holland enters his 21st season. As a result of beginning their careers at the same time and in the same division, Woods and Holland have, in fact, become close friends. While there is a friendly comradery between the two coaches, Woods seeks to continue his success against Mesquite in the form of a senior-heavy 2019 team. The last time Hamilton faced Mesquite, Hamilton came out on top 15-2. In the past five seasons, Hamilton is 10-2 against Mesquite, including a state championship win against them in 2014. “We have the talent, we have the right mentality," Woods said. "They’re excited, I’m excited, I think we have a great shot to continue this thing to a championship." Fresh off a 2.71 ERA season, Hamilton’s left-handed pitcher Shane Murphy is hoping that time spent in the weight room this offseason pays dividends to his success on the mound. The Huskies will have to do without their star pitcher on the mound opening day, as Murphy suffered a minor ankle injury that could prevent him from starting for two weeks. Murphy is looking forward to contributing to the team’s success when he returns, while ensuring to enjoy the sport as a senior with his lifelong friends. In an attempt to cut back on strikeouts, outfielder JD McGlaughlin worked on the fundamentals of his swing in the offseason. McGlaughlin bat an impressive .301 and totaled 27 RBIs on 28 hits in the 2018 season. 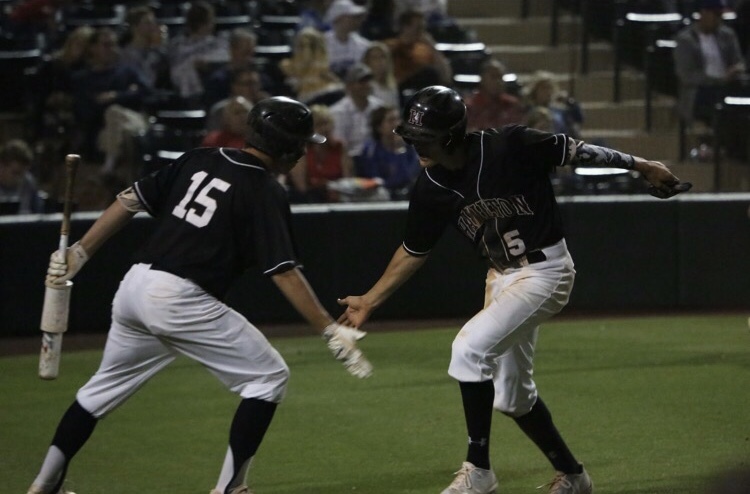 McGlaughlin showed signs of plate discipline in the final meeting against Mesquite last season, going 1-for-2 with two walks and three runs scored. After totaling 31 hits and 26 RBIs with a .392 batting average in the 2018 season, senior Kyle Hasler is eager to help Hamilton win wherever he is needed. 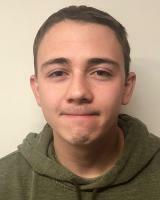 Hasler doubles as a pitcher and catcher and is hopeful that his versatility can provide the team with depth as the Huskies make their run at a seventh championship. “This offseason I’ve made the adjustment to keep my swings short,” Hasier said.